It helps though that the cast is clearly all having fun, much more than in a previous production youth production I saw a couple of years ago. Owen Howard as the lead continues to grow as a performer on the stage in his turn here as the lead. He has a confident stage presence and more especially, a charm which makes Mr Malone here work on all levels. His partnership with Emily Abraham as Blousey Brown is captivating and sweet, as Abraham herself continues to grow as a performer. I said last year in my Fame review that she was already one to watch, and I am glad to see that she continues that upward curve here and she has one of the very best voices in the production. Also with brilliant vocals, Robyn Wilson makes a stirring Tallulah and is especially brilliant in the performance of My Name Is Tallulah. 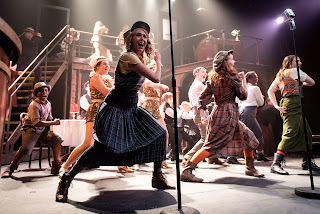 She is another who has shone before and part of the thrill of following the Youth Theatre is seeing them expand, with some of these performers I have had the pleasure of seeing them for five years now. Perhaps the scene-stealing performance though must go to William Phillips' Fat Sam, bringing so much more comedy out of the role than I have seen before. It's a gloriously wacky performance, and thrills with every appearance. Fabulous stuff! There are some lovely touches incorporated from the director and team that make the slightly less exciting moments into more of a thrill, including creating a nice atmosphere during the overture at the very beginning with the characters introductions. 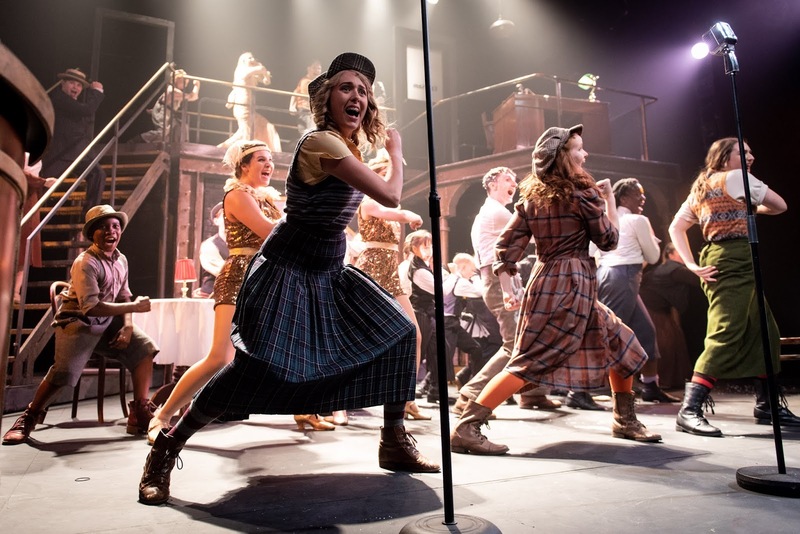 The song Down & Out is given a vibrant feel and full of movement with it's staging. Also, one of the greatest bits of the fun comes from the nicely ambitious car chase sequence, staged really well and excellently handled by the cast, and really funny as well to boot. The evening wasn't free from a few technical issues going on, the sound was a little unclear early on (but definitely did improve), and some bits of the set were managing to misbehave. In particular, one potentially awkward incident during Fat Sam's Grand Slam was really professionally handled by the young cast. Live theatre always creates these incidents, they cannot be avoided, it's how it is dealt with that is key, and here they were excellent, and very much working together. There are some bold moves going on which generally work, scenes are well brought together and the Grand Slam scene is brilliant and very visually appealing. I have to say that I was disappointed by the staging of So You Wanna Be A Boxer, it seemed unnecessarily crowded and many of the requirements for performance went beyond some of the skills of the individuals, making it often a distraction. I am undecided on the introduction of the dance during two of the solos, while nicely performed, for me, it went on too long and as a result, with the limited choreography of it, became repetitive. The scenes involving audience participation though were brilliant, bringing a nice unexpected depth to the much better second half as well. 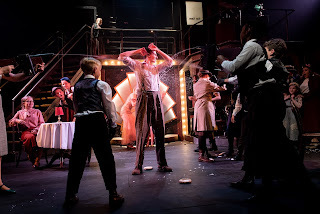 There is no question that I enjoyed Bugsy Malone, and certainly more than a previous incarnation, however, it is a limited show in some areas, and with the slightly flimsy material of Fame last year, I feel next year the Youth Theatre need to go bold again and get back to the astronomic days of Oliver! and the simply incredible Sweeney Todd. The talent is still there in the group, all it needs is a much more meaty production to show it. 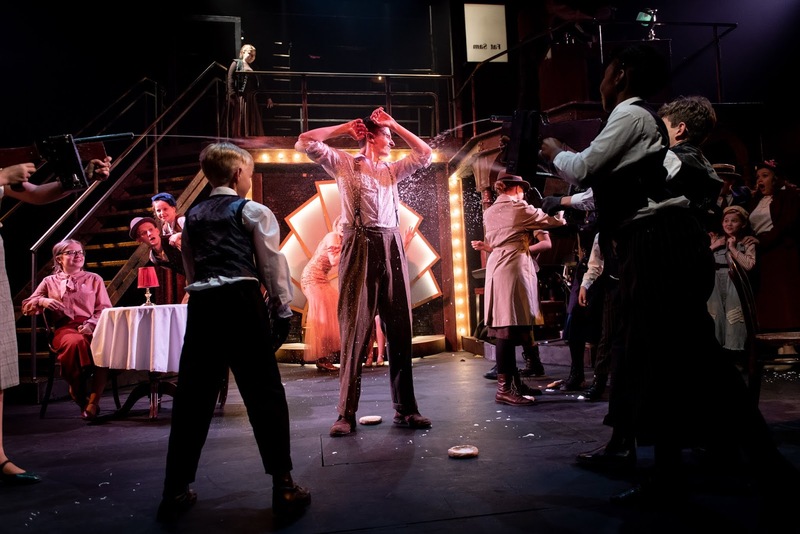 As it is, Bugsy Malone is everything you would expect, big and silly and the cast and team get everything possible out of the material. 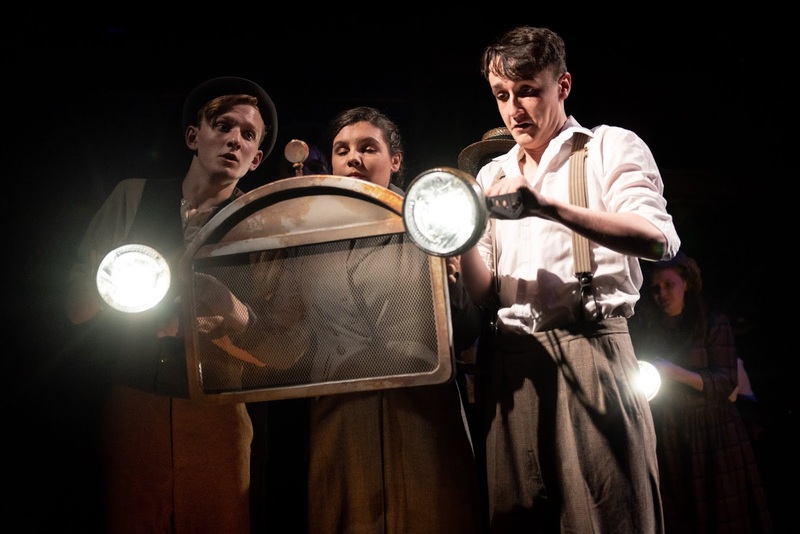 Performance reviewed: Tuesday 10th July 2018 (Bonnie Company) at Royal & Derngate (Royal), Northampton.